Natural disasters observed in 2011 Tohoku-Paicific Ocean Earthquake and subsequent tsunami, and local heavy rainfalls make us recognize the awfulness and hazard of the extreme events posed the nature. Especially, urban areas developed in basal zones along the coasts and on the river basin are incessantly exposed to the hazard caused by water. It has been pointed out that various compound and secondary disaster can take place in a scale which has not been experienced in the past, if earthquakes, tsunami and flood successively hit an urban area with such a feature. In order to limit the damage to a minimum level and to provide safe environment, relevant prediction and evaluation of the coming danger, and development and implementation of the prevention measures and technologies for the urban infrastructure. Toward the aim of establishing the measures for the evaluation of safety & performance and development of engineering solutions for mitigation of various disasters in urban areas, the research topics of the Urban Flood Control research section include the analysis, experimental evaluation of dynamic phenomena of coupled systems consisting of structures, fluids or the combination of those, as well as design/assessment/maintenance of infrastructures. 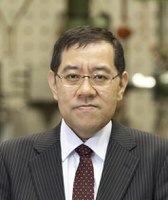 The research topics of Prof. Igarashi are centered around various engineering issues related to structural design and evaluation of dynamic behavior of infrastructure from the viewpoint of coupled systems dynamics and control against extreme events. The area of interest also covers the development and application of state-of-the-art seismic response modofication devices, design methods, active/semi-active structural control technologies, evaluation of aging deterioration and maintainance. My research objective is to predict the urban inundation phenomena in detail by using 3D numerical analysis. Tsunami inundation phenomena are studied by using a 3D numerical simulation method based on VOF method. The simulation method has been applied to tsunami runup on Monai district of Okusiri Island caused by 1993 Hokkaido Nansei-Oki Seismic Tsunami , and the simulated maximum runup height curve of Monai agrees well with results of tsunami investigation (Shuto et al.). We will estimate the risks of tsunami inundation in urban area by using this method. The real-time hybrid simulation is an experimental verification technique to evaluate the dynamic response of large-scale structural systems, for which full-scale shake table testing is difficult. In this test method, the structural system is divided into a numerical substructure and an experimental substructure; response calculation of the numerical substructure with computers and dynamic loading test of structural elements using dynamic test equipments, including shake tables and dynamic actuators, are synchronously executed on a real-time basis by controlling the test procedure using the information of both processes, as a unified testing-computing dynamic simulation corresponding to the time evolution of actual dynamic phenomena. Implementation of experimental systems based on this advanced testing principle allows reliable performance validation in course of the development of advanced measures for infrastructures against extreme events. Inundation phenomena in highly developed urban area with underground space are studied. A refined inundation flow model considering buildings, streets and sewerage system and an inundation flow model for underground mall and subway are developed. Hydraulic model tests are also executed by use of the large scaled urban surface area model and underground space model. The experimental results show the danger of underground space for inundation.